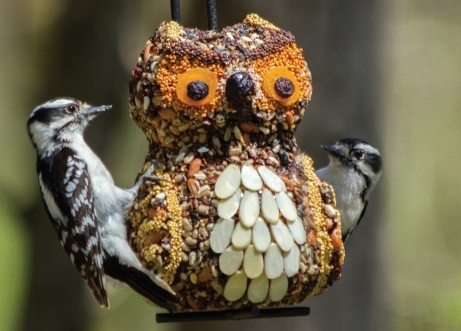 It doesn’t take a lot of effort to get started feeding the birds. With our Flying Start™ Cylinder Feeder, you get everything you need. Just slip a seed cylinder on the hanging stake and wait for the birds to discover the food they love. - One of the easiest feeders to maintain and attracts a wide variety of birds. - Many different seed cylinder to choose from including HOT to keep the mammals away. 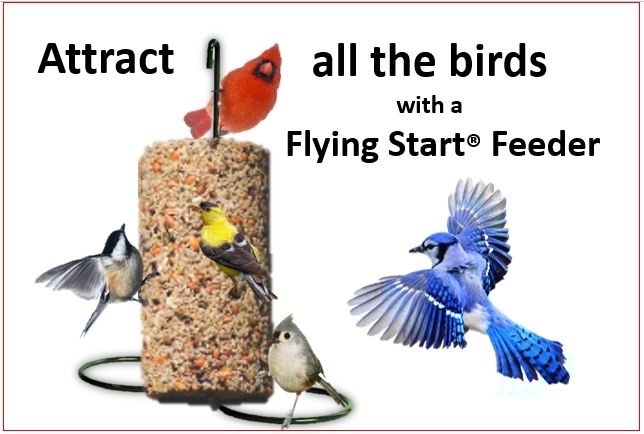 And just when you thought cylinder feeding couldn't get any better... you can look forward to our Seed cylinder Characters from October to December at the East Lansing, Wild Birds Unlimited store!